Bernard Ntuyahaga, the Rwandan major found guilty of manslaughter in the deaths of 10 Belgian paratroopers in 1994, has requested asylum in Belgium. Ntuyahaga recently finished serving the sentence that was handed down by a Belgian court in 2007 for his part in the crime. Ntuyahaga was sentenced to 20 years, including time-served, for his part in the murder of the peace-keeping troops, who were on UN duty in Rwanda at the beginning of the genocide. Ntuyahaga was responsible for transporting the troops to a military camp, where they were tortured and shot. The incident led to a withdrawal of all Belgian and other peace-keeping troops in the country, allowing the genocide of the Tutsis to be carried out full-force. Following the genocide, Ntuyahaga was held by the International Tribunal for Rwanda in Tanzania and later by Tanzanian authorities. 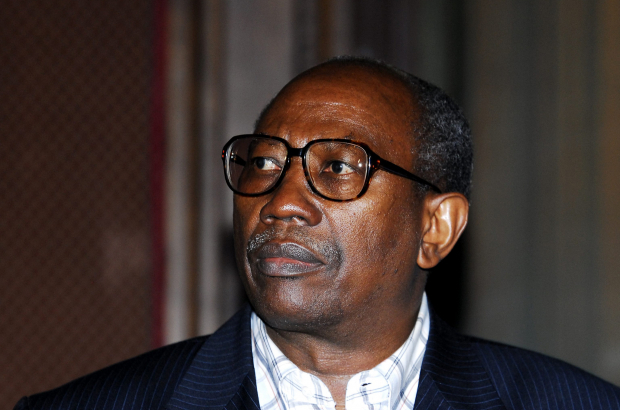 He voluntarily came to Belgium in 2004 to face charges following lengthy extradition attempts by both Belgium and Rwanda. Ntuyahaga, now in his mid-60s, is currently being held in an asylum detention centre in Belgium and has reportedly requested asylum. But, according to federal migration secretary Theo Francken, he has his sights set on Denmark, where his wife and child live. The Belgian victims’ families as well as human-rights authorities in Rwanda have reacted with shock at the news, demanding that Belgium reject the request. While an asylum request from a war criminal has virtually no chance of being approved, Belgium is restricted in its ability to send Ntuyahaga back to Rwanda. According to Article 3 of the European Convention on Human Rights, a country is not allowed to deport someone back to a country where they could be subjected to torture or inhuman treatment. Agree with WENDYTAKAMI. Of course if he is sent back to Rwanda, all he has to do is get on some sort of boat, get 'rescued' and enter the EU as an illegal. Then he will be allowed to stay forever. The EU really has lost the plot. The ECHR comes under the Council of Europe, Strasbourg. Not the EU.